Welcome to my website. I write feel-good fiction with a cast of colourful characters and addictive plotlines. When I’m not writing, I’m reading, or talking about books. I’ve always had a very vivid imagination and my passion for storytelling began at a very early age. As a child I loved nothing more than escaping into a good book. I still firmly believe in the magic of books – they provide companionship and solace, make you laugh, make you cry, or take you on wild adventures. 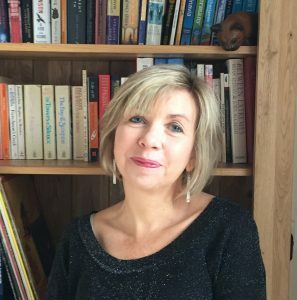 I now run a regular feature on my blog where guest authors talk about the books which evoke their special memories, the books they can return to time and time again, what I call ‘comfort reads’. My own writing career began with a move to the US in 2009 when I started a blog about life as an ex-pat. When I returned to the UK three years later I took a class in creative writing and after a few competition successes with short stories, I embarked on writing a novel. When I’m not writing, or reading, I like to travel. I currently live on the beautiful south coast of England with my husband and a very spoilt cat. 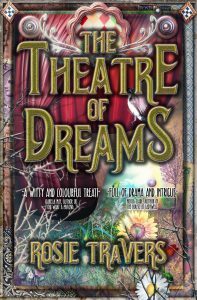 My debut novel, The Theatre of Dreams was published on 1 August 2018 by Crooked Cat Books. A devious octogenarian recruits a disgraced actress and a bankrupt architect in an elaborate plot to save her family’s historic seaside pavilion. I am a member of Hampshire Writers’ Association and the Romantic Novelists’ Association. 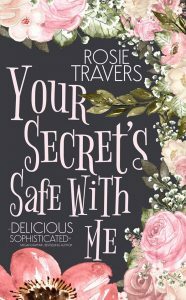 My second novel, Your Secret’s Safe With Me, was published on 18 February 2019 and you can find out more about that here.